The Meant label returns with a brand new EP from Monoblok & PSLKTR featuring remixes from The Hacker, LaDameNoir & Vosper. French label Meant has had a great run of things in 2012 with releases from Vosper, Rework and Remain vs Populette getting love from DJs across the board and extensive press support. Now the imprint looks to an act that have already proved their worth with previous releases, Monoblok & PSLKTR. 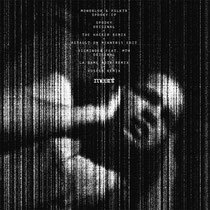 Monoblok & PSLKTR have been working together since 2009 and have been responsible for releases on Notorious Elektro and Lebensfreud Records as well as the Meant label. Their take on the modern sound of electro has given them a loyal fan base and this latest release with its intense feel and remix selection is certain to attract plenty of attention. The EP kicks off with title track ‘Spooky’, a rolling, dark edged affair that melds element of electro and techno into a cut that is intense from beginning to end. Vocoded vocals, off kilter synth parts and nagging top lines tie the record together and make for a decent listen! The original is accompanied by a remix from French production heavyweight Michel Amato AKA The Hacker who turns into a full bore, old school electro workout. The flipside of the vinyl gets going with ‘Sigminder’ featuring MTH, a brooding and squelchy electronic workout that walks a balanced line between dark and light with its swirling FX and close to distortion synth riffs. The remix duties on ‘Sigminder’ are handed to LaDameNoir who deliver a hypnotic reworking that retains much of the original character whilst very much stamping its own sound on things. There are two digital exclusives, the Vosper remix of ‘Sigminder’ which delivers some quality techno and the ‘Assault On Meant 15 edit’ of Spooky that offers up some slo-mo soundtrack action. It’s out now.